Assets are items capable of being owned – they can be tangible, physical items, or intangible matter such as copyrights or patents. Intangible items have no physical properties. All assets, whether intangible and tangible, are subject to depreciation with the exception of land. Depreciation is the expiration of the usefulness of an asset and is reflected as a business expense. The value of assets is usually booked at original cost. However, as time goes on, the usable value of assets may be less than the original cost. For this reason, line items recording depreciation expense are created. These line items increase each year as depreciated values accumulate. 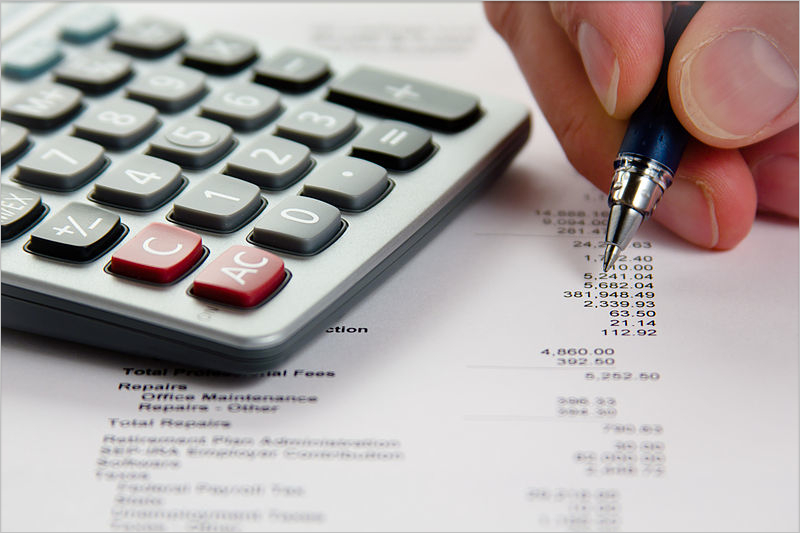 Several methods can be used to calculate depreciation. The most common method is the Straight-Line Method which divides the total acquisition cost by the total number of years of expected life. Each year the accumulated depreciation expense line item is increased by that year’s depreciative amount and after a period of time, the original cost of the item is, in effect, cancelled out. The units-of-production method provides for the life expectancy of the asset to be divided into segments such as hours of use. In this method, the units of usage must be recorded on a regular basis and at the end of the fiscal period, reflected as accumulated depreciation. The declining-balance method allows for a steady decline in the amount depreciated beginning with the highest amount recorded for the first year and declining each year thereafter. This procedure is generally used when the asset is expected to decrease in efficiency through the years or when repairs are expected to increase with the age of the equipment. Use of the sum-of-years-digits method is designed to reduce the value by a declining percentage rate each year, with the largest percentage being applied the first year and reducing each year thereafter. The acquisition costs of assets are established as line item accounts on the Balance Sheet and reflect debit balances. Accumulated depreciation also shows on the Balance Sheet but as contra accounts with credit balances. Regardless of the type of system being used, it is best to remember that depreciation is not a direct cost and no funds are expended or withdrawn because of it. Depreciation cannot be determined with any degree of certainty. It is simply a tool used to establish the estimated loss of usefulness of fixed assets. The information gleaned from accumulating depreciation is a tool that can be used to determine when equipment or other assets should be replaced. Also, it provides a benchmark for estimating the costs of doing business. However, due to the uncertainty of the projected loss of value the depreciative amounts cannot be classified as a pre-tax cost of debt for the purpose of tax reporting. The pre-tax cost of debt is interest paid for the use of money. When funds are borrowed, the lender charges interest for the use of the funds. The pre-tax costs represent the total loan payments made during any fiscal period less the principle repayment amount. Items such as insurance premiums and property taxes paid prior to the end of the fiscal period are classified as prepaid expenses. Depreciation totals are used to determine a true picture of net worth by reflecting the true value of assets. About the author: This article was written by Christina Corbett, an MBA student and up-and-coming writer who is looking forward to sharing her knowledge to the world. She writes this on behalf of K2 Technology and their great asset management services. Make sure to check out their website for more information on how they can help your business.